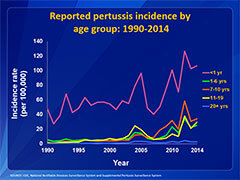 Most adults have lost their immunity to whooping cough rendering them susceptible to this Bordatella pertussis bacteria presenting as “whooping cough”. Research shows that DTaP vaccine loses potency as soon as 3-5 years after vaccination. That means it is important for all adolescents and adults to get that needed “booster” vaccine called TdaP. After outbreaks across our nation and with a current whooping cough epidemic in California most states continuing to see year after year increases in whooping cough illness; therefore, time is of the essence to protect our newborns from this potentially deadly bacteria that is preventable through successful childhood and adult vaccination programs. Without other identifiable causes of cough lasting 2 or more weeks think Whooping Cough. If you have these symptoms, please seek medical attention to take the necessary medication decreasing the risk of spread to others! Are you or your kid losing hair- Find out why! George, stop pulling your hair out! The term alopecia refers to hair loss. There can be multiple causes all of which are bothersome to the affected person. Trichotillomania- Patient is hair pulling, tugging, or twisting the hairs resulting in patchy hair loss with differing lengths and usually on the side of the child’s dominant hand. Usually brought on by stressful events, divorce, death, etc and often needing psychological intervention to cope with the root causes. Telogen Effluvium- Hair loss precipitated by moderate to severe stress that can ultimately result in partial or full loss. Lower stress will usually resolve this condition but it is more likely to recur when stress returns. hypothyroidism- Not so uncommon particularly in teenage girls. Usually associated with neck fullness (ie goiter), constipation, cold intolerance and less likely depression. I cannot think of one redeeming feature of cow’s milk. The milk carbohydrates, lactose and galactose, cause abdominal discomfort and “intolerance”, the milk protein, casein, is acidic with a pH= 6.7, therefore causing bone loss as our bodies to neutralize acidity by eroding our bone matrix, while the milk fat is saturated and fosters plaque buildup within our small heart arteries. I just cannot think of a worse food source, one that certainly is linked to heart disease. 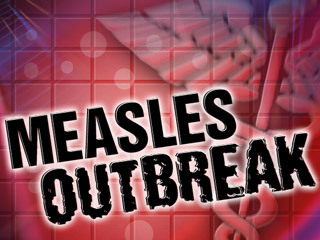 171 cases of measles and 4 outbreaks, now cases in 17 states! Find out the most affected states? At the current rate the number of measles cases will top 2014 cases of 644. The main states with measles are California, Illinois, Nevada, and Washington. The majority of cases in 2015 are in unvaccinated individuals. Rashes in children can have many causes. The most common cause in pediatrics are overwhelmingly viral infections, but rashes could be caused by other infectious diseases that are bacterial such as Strep Group A or fungal (ie ringworm). We should be aware of non-infectious causes such as allergic reactions to foods and contact sensitivities to sunscreens (ie hives). Rashes that have broken down the skin surface or are blistering are worrisome (toxic reactions). Rashes that are associated with headaches or neck stiffness (ie meningitis) could be dangerous. Rashes that do NOT blanch with gentle pressure, then consider a possible blood disorder or a traumatic cause. Painful rashes could be a sign of an autoimmune disorder or a drug eruption (ie from antibiotic). In all cases of pediatric rash, one should contact the physician to seek medical advice and guidance. The leading cause of death in men and women yet highly preventable! Fortunately cardiac disease is highly preventable. This is great nutrition advice promoting quality of life well into the 7th and 8th decade. Click the video, a very worthwhile move, you are not too young to watch this. Guaranteed to give you pause, goosebumps, and possibly a reality check.